While Venice is currently attracting international stars from all over the world during its International Film Festival, we would like to put even more spotlight on the floating city. 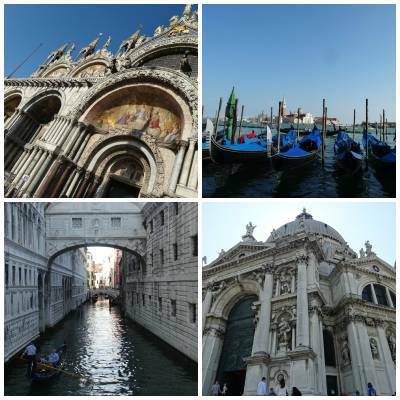 There is hardly any other place in the world that is as unique and fascinating as Venice. Captivated by its charm, so many of our cooking holiday guests get swept off their feet by the city and culture that prevails in the Veneto region. But why are cooking holidays in Venice so memorable and magical? One of the biggest factors that makes Venice a magnificient place is its food. Praised as extremly flavoursome by our guests, the city is renowned for its culinary specialities and traditions. Did you know that Tiramisu, Polenta and Prosecco are all from Veneto? But that’s of course not all! Venice, being closely located to the coast, also offers a varitiety of fish dishes. Cod, for example, has its origins in Venice. Introduced in 1431, by a Venetian captain who brought the fish back to the city after a long stay in Norway, the Venetians fell in love with it quickly. Baccalà Mantecato, a creamy soft mousse like dish, mainly served with polenta, is a typical way of serving the fish and you will find it everywhere in the city. But, of course, being on a cooking holiday you will not only get the chance to taste the delicious food but you will also create your own Venetian highlights. Being surrounded by lovely, talented Italian chefs, you will be surprised by your culinary capabilities – something that will even stick with you after your Italian cooking holiday! We know that you won’t be able to eat all the time when going to Italy! (even though it sounds very tempting, one must admit) That’s why you will get the chance to explore the region, too. Our trips are rated highly by our guests who enjoy a full day’s excursion to the city centre of Venice. Having enough time to wander around the city, we are sure it will leave you breathless. From impressive architecture to remarkable paintings and exciting views & restaurants. Based on our guests feedback, you will surely not be disappointed after your day long excursion to the city. But of course, that should not be the only trip on your cooking holiday in Venice. As the cooking and exploring will have probably left you thirsty, we will take you to a wine tasting in Conegliano – the home of Prosecco! According to our guests, another highlight of our cooking holidays in Venice is the lovely accomodation. Obviously, not everyone travelling to the Veneto region can claim to have lived in a historical Italian villa. Situated in the countryside the building is surrounded by gardens and historic sites – the prefect starting point to exploring the area. With its private pool, a peaceful and relaxing trip is guaranteed. This way the food will taste even better! Given all the above reasons, we feel like we have to warn you: a Venice cooking holiday is highly contagious. A high majority of our guests decide to return on a Flavours Holiday after having discovered the beautiful elegance of the place. If you feel like you can take the risk, then don’t hesitate! Our next available cooking holiday in Venice will be from the 13rd – 20th of September and there are still a few places left. Want to keep up to date with Italian art, cooking and travel? Follow us @FlavoursofItaly or visit us on Facebook for the latest news and exciting giveaways!